When the temperatures plummet, frozen pipes can be a major concern. Especially if there’s snow and a power outage, this emergency will require a plumber ASAP. When the weather starts to get colder, check to make sure your vents are closed and your pipes are insulated. It’s very important to know where the main shut off is in case of bursts or breaks. Another step that offers peace of mind is to have a plumber from RJ Tilley come out and show you where the valves are located. We can then label the main and any other valves so you know exactly where to go if pipes burst and you have to face this plumbing emergency. If you have concerns about frozen pipes, you need a plumber. 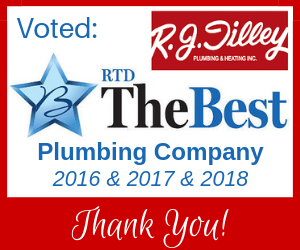 Call the best plumber in Richmond, R. J. Tilley.